OIST has it's own gym for OIST employee, student or family members. The OIST gym, located in the Village Center, is open 24 hours a day, 7 days a week, year round. Any OIST employee or student or family member thereof who registers and attends a training session can use treadmills, elliptical trainers, spin bikes, weight machines, free weights, exercise mats, and other resources. The gym also includes a water cooler and showers for users who live off campus. 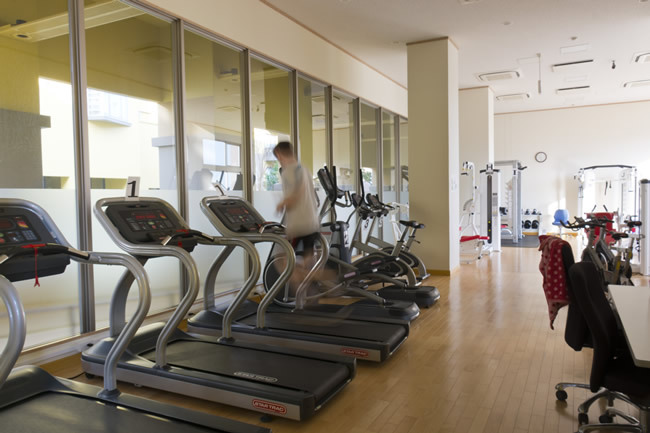 Students can use the gym for free; employees pay 400 yen per use, up to 4,000 yen per month. There are village or town-run sports gyms and swimming pools available about 20- to 30-minute drive from OIST. Facility fees tend to be less than those of private gyms and swimming pools, and a discount will be applied if you are a resident. Please confirm the price in advance as most of them have a variety of pricing systems.